Sally Kern was first elected to the Oklahoma State House of Representatives on November 2, 2004. 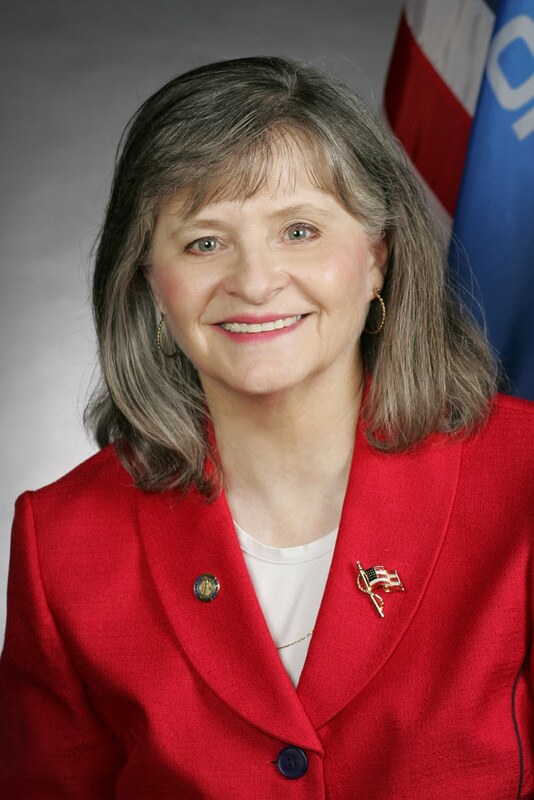 She has been voted “Outstanding Lawmaker of the Year” by the Oklahoma Conservative Political Action Committee (OCPAC) and honored as the first ever recipient of the Family Research Council’s “Champion of Faith, Family, and Freedom Award.” A former educator, she has a BA in sociology and a teacher certification in social studies with an emphasis in government. Sally and her husband, Dr. Stephen D. Kern, a Southern Baptist minister, have two grown sons, one daughter-in-law, and two grandsons. 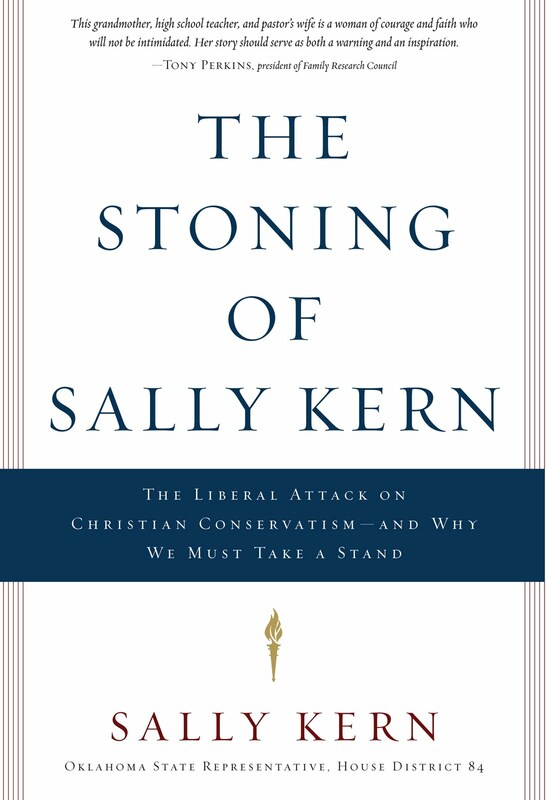 Oklahoma State Representative Sally Kern was vilified in the national media for taking a bold stand for conservative values. Now she challenges social conservatives to recognize the principles that made America great and be ready to defend them against attacks from the radical Left—or risk being silenced. An icy knot formed in my stomach as I snapped my mobile phone closed and laid it on the car seat beside me. It was March 7, 2008, and as long as I live I’ll remember the petrifying feeling of fear and confusion that penetrated my whole body. It was a Friday, my day off since the Oklahoma state legislature doesn’t meet on Fridays and my weekends tend to be full of the responsibilities that come with being a pastor’s wife. So I was out running errands. I couldn’t believe what I was hearing. There had to be some sort of mistake. “From whom?” I asked her. “From angry homosexuals mostly,” she said. She went on to explain that apparently someone had secretly recorded one of my talks to a group of grassroots Republican activists and that segments of it had been edited together and put on YouTube for all the world to hear. My mind raced as I tried to recall the various speaking engagements I’d had recently and what I’d said in each of them. In the span of a few short days in March 2008, I became more than famous. I found myself instantly infamous. Gossip blogger Perez Hilton took a break from virtually stalking Hollywood celebrities in order to opine that the people of Oklahoma should be ashamed of me. Ellen DeGeneres devoted a segment of her television program to mocking me and trying to call me on the phone. These high-profile attacks triggered a tsunami of e-mail filled with the vilest and most defiling obscenities imaginable. Of course, all of this attention was unplanned, unanticipated, and unprepared for. It was also extraordinarily hurtful, not just to me but to the people I love most in this world. It’s painful to be accused of hate when you know there is no hate in your heart. It’s discouraging to have your words twisted and exploited in the ears of the entire nation. And it is maddening to have a grotesque caricature of yourself paraded around as genuine by thousands of people who don’t know the first thing about you. As my story unfolds, you will see that my stand is not against individuals but against the forces that would seek to undermine the truth of God’s Word. This nation was founded on biblical principles, and that is what has made America strong. Our Founding Fathers recognized that there are social, economic, and cultural benefits of Christian values that bring blessings to the nation that embraces them. This was the foundation of the now infamous speech that thrust me into the limelight, but of course, that part wasn’t plastered all over YouTube. Amid the hailstorm of name-calling and derision that came my way, one of the least obscene and most commonly used labels was that of “homophobe.” In fact, I was named the runner-up for “Homophobe of the Year” by a certain national homosexual organization’s website. It has become common in recent years to slap the label of “homophobe” on anyone who objects to open homosexuality on moral or religious grounds or to the homosexual activists’ political agenda on ideological grounds. It’s a clever tactic—repeatedly assigning the label of a neurosis or mental illness to those who disagree with you. You don’t have to engage “crazy people” in debate on the merits of the issues. You just marginalize them and dismiss them. Of course, a phobia is, by definition, an irrational fear. But the concerns I have about the radical homosexual lobby’s political agenda and the effect it will have on future generations are hardly irrational. They are grounded in facts and are quite rational. Based on the hysterical reactions I’ve experienced to a few poorly worded comments I made, however, it’s fair to wonder if some people don’t indeed have an irrational fear of morality-based arguments. Perhaps some people are “holyphobes.” In a different sense, you might call me a holyphobe, in that I have reverential fear of God. I care more about what God thinks of my life and actions than how any living person on this earth views them. In any event, I’ve certainly grown weary of being called a homophobe. The truth is, I don’t hate or fear homosexuals, or anyone else for that matter. Disagreeing with someone does not mean you hate him. I was not brought up to hate people. My parents taught each of their children that everyone is worthy of love and respect just because they are created by God and are of great value to Him. My husband and I sought to rear our children with the same understanding. If I’m not willing to love others regardless of who they are or what they might do, then how can I expect God to love me? What concerns me is the damage that will be done to America’s moral fiber and to religious freedom if we succumb to attacks on our conservative Christian foundations. In the chapters that follow I will reveal how a highly organized, well-funded network of radical activists is working to undermine our God-given liberties in the name of equality and freedom. Speaking out about these facts is what put me in the crosshairs of the liberal blogosphere and even caused some to label me an extreme danger to Western civilization. In reality, I’m about as ordinary as you can get. I have no fantastic talents, I look like a typical sixty-something grandmother, and though I was smart enough to get a college degree and teach government to a couple generations of high school kids, I’ve never been offered membership in the Mensa IQ society or been accused of being an intellectual. Just ordinary. Average. Typical. That’s me. This whole experience has taken me completely by surprise. As a result, the last few years have had a surreal quality to them. I’m just now beginning to realize that this is probably the way it’s going to be for the rest of my life, even when I’m no longer a state representative. I think I can relate just a little bit to what Sarah Palin experienced. There was a day that took the United States by surprise. It was December 7, 1941, when Japan bombed Pearl Harbor. Prior to that fateful day Americans knew a war was taking place, but most didn’t think it involved them. As long as the fighting was going on someplace overseas far away, they didn’t really care about it, and so they were just living their lives and going about their everyday activities. But that changed in a heartbeat when, unexpectedly, the planes roared down, and our mothers and fathers, sons and daughters, brothers and sisters were under attack without any warning and little chance to fight back. There is a war going on today, and, just like on December 7, 1941, most Americans are going to be totally surprised at the devastation and change that is going to take place in our nation. The difference between this current attack and the one on Pearl Harbor is that the enemy is living and fighting right here among us, but we don’t recognize them. The hard reality is that the enemy could be connected to your mother or father, sons or daughters, brothers or sisters, or coworkers. That’s what makes this war so hard to fight. It can feel as if we’re fighting those we love. The real enemy, however, is not these loved ones but a world-view that is being strategically implemented in our homes, schools, churches, and governments. This is a war for the soul of our nation, and it is a whole new experience for Americans. This is why the experience I’m going through is not just about me. It’s about something much bigger and more important than me or even you. This is about our future and what we will leave to generations that follow. The statements I made in my speech and the actions I’ve taken since then have forever altered my life. My future has been changed. It’s been changed for the better, although that’s not what my opponents intended. They did not take into account the divine promise of Romans 8:28—that God works all things together for the good of those who love Him. Sometimes we do things that, in the moment, seem inconsequential to us, but God takes them and turns them into defining moments in our lives. Little did I know that the secretly recorded remarks I had made represented such a moment. Before I share with you the comments that generated such a fire-storm of abuse, allow me to give you some of the background behind them. Back in October 2007 I attended a ProFamily Legislators Conference. There I learned of a group of very wealthy homosexual activists who had stealthily targeted seventy conservative political officials across the nation to defeat them in state and local elections. Their goal was, and is, to completely change the American political landscape from the bottom up over the next ten years in order to create a friendlier legislative environment for their agenda. There were six other Oklahoma legislators who attended that conference and received the same information I heard. But I was the only one who came back home with the motivation to do more research on the subject. “Why me, Lord?” I wondered. That’s a question I’ve asked myself many times since March 7, 2008. That day in the car, I couldn’t wait to get off the phone with TJ and call Steve, my husband. As my best friend and biggest supporter when I was running for the House of Representatives, I desperately needed his wisdom and counsel. Still feeling very much afraid, I shared with him the conversation TJ and I had just had. I recall that Steve asked me, “Do you know which meeting they recorded?” You see, I had given this same basic speech on four different occasions. Evidently it wasn’t just grassroots Republican activists who found it interesting. As Steve and I prayed together over the phone, the peace of God that passes all understanding began to displace the paralyzing fear I was experiencing. As a minister’s wife I had talked hundreds of times about the peace of God. But in that moment I learned the sweet reality of the indescribable contrast between heavenly peace and worldly fear. “Famous,” I thought to myself. “This is not exactly the way I had ever imagined I’d be famous.” As I mentioned in the introduction, I’d never coveted or pursued fame. Now it looked as though I was going to be famous for “ticking off” the world’s homosexual population, and all I did was share with a small group of people what some liberal homosexual millionaires were doing. TJ then told me that reporters were beginning to call the office wanting to know if it was indeed my voice on the YouTube video. Of course, I didn’t know whether it was my voice or not. And as a sixty-one-year-old grandmother who was pretty close to being computer illiterate, I didn’t even know how to get on to YouTube to check. So there on my cell phone, sitting in the parking lot at Walmart, I waited anxiously while TJ got online and pulled up the YouTube clip. As she put the phone next to the computer’s speakers, I listened intently, straining to hear every word. I also was quietly hoping and praying that there had been some mistake and the voice wouldn’t be mine. After confirming that the voice on the other end of the phone was mine, I had TJ transfer me to our legal staff at the capitol. I figured that it might be a good idea to see if they had any advice for me. As I related to the staff lawyer the events of the last few moments, I was told that, in her opinion, there was nothing that could be done. No laws appeared to have been broken by anyone. I was inwardly hoping that she would have some simple and magical solution that would make all this go away as quickly as it had appeared. At this point you might be thinking that this was not my lucky day. Thankfully I don’t believe luck is what guides my life. The next phone call I made was going to confirm that belief. Feeling much calmer now but still trying to wrap my mind around all that was happening, I really felt impressed to make one more call. I don’t know why, but I did, and it proved to be the call that gave me a sense of purpose for what was occurring. Not really grasping that I was now squarely embroiled in a major controversy, this next call was to an individual who is controversial in Oklahoma politics. If you’re an elected official in Oklahoma, you either hate or love Charlie Meadows. There’s no in-between. As the longtime chairman of the Oklahoma Conservative Political Action Committee (OCPAC), Charlie gives no slack to any elected official. I dialed Charlie’s number, and he answered right away. I told him about the YouTube video and all the hate e-mail I was getting. Charlie had heard my speech on the homosexual agenda three times. The first sentence out of his mouth was, “Praise the Lord, He’s given you a platform to poke your finger in their eye—figuratively speaking, of course.” This blunt statement startled me and pierced my heart. And I suddenly recognized that the Lord had set the stage for a confrontation between the truth of His Word and the lies of this present age. Of course, this is not a new battle. Ephesians 6:10–18 clearly asserts that this war has been going on for all time. What was new was that God had just called me up as one of His frontline soldiers in the battle for truth. Seems the Lord was taking me at my word. You see, when I first campaigned for office, I had my spiel down pat when I knocked on thousands of voters’ doors. It went like this: “I’m running as a decidedly Christian candidate because I believe we’re in a cultural war for the very existence of our Judeo-Christian values.” I made that statement in 2003 because I believed it. Now I was being asked to live it. It is a biblical principle that the spoken word has power. Sometimes God takes what we say and creates opportunities to exhibit His power. Before the day was out, I’d had three TV stations call asking for interviews. I hate doing TV interviews. I don’t like the way my voice sounds. My hair never looks right. And the cameraman always gets right up in my face. They do that when they’re trying to make a person look bad. I felt certain that the media would attempt to make me look as bad as possible. I was not disappointed. As I’ve already stated, the comments that were secretly recorded were rushed, and I could have done a better job of making a few of my points, and I said so. But reporters never seemed satisfied with that explanation. It quickly became clear to me that what these media folks were looking for was a retraction. The fact was, I was being invited, encouraged, prodded, and subtly coached to recant! And that I could not in good conscience do. I kept thinking about something I read that nineteenth-century abolitionist preacher James Freeman Clarke once said: “The politician thinks of the next election; the statesman, of the next century.”1 I wasn’t really interested in preserving my position; I was passionately committed to preserving my country. So I hardheadedly refused to say that I had “misspoken” or to use any of the other weasel words we’re accustomed to hearing politicians hide behind. The more I stuck to my guns, however, the more hostile and slanted the media coverage became. When I got home and put my groceries away, I went straight to the computer to check my Oklahoma House of Representatives e-mail account. I was not prepared for what I saw. It was one thing to hear TJ say I was getting thousands of e-mails. It was another thing to actually see them pouring into my in-box. But the quantity was not the problem. It was the content. I was being accused of “hate speech” for merely citing what was already written in various articles in mainstream publications, such as the Atlantic Monthly and Time magazine online, and for what the Centers for Disease Control and Prevention had on its website for anyone to see with a few clicks of a mouse. These facts were “inconvenient truths,” to borrow a phrase, that some groups don’t want advertised. Of course, the writers of the e-mails were especially enraged that I had compared homosexuality to terrorism and to a cancer, two things that destroy. That’s what really set them off. Without a doubt, I had hit a nerve. I found it sort of ironic that those who were consistently most vocal in calling for hate crimes laws and in preaching tolerance were the very people sending me thousands of e-mails filled with some of the most obscene words and vicious sentiments I’d ever seen. There was absolutely no tolerance for my choices or beliefs. As a high school teacher, I thought I knew all of the profane and vile words out there. But while sitting at my computer for thirty minutes, reading some of those e-mails, I saw more vulgar words in that time than I’d seen in all my life. As I continued to wade through the avalanche of profane contempt, my stomach had a large and growing knot in the middle of it. I can’t adequately describe the way I felt—a queasy mixture of fear, confusion, and defilement. I just knew I needed the Lord to calm my spirit, give me His strength, and fill me with love for these people. I had no clue about what the future would hold as a result of becoming a visible target of the activist homosexual community. One thing I did know: God honors His Word. I knew that I could not back down from the truth of His Word. No matter what it may cost me, I would rather be biblically correct than politically correct. I also knew that God loves the homosexual just as He loves me. God loves all people. But He doesn’t love sinful actions. I knew that I had to keep this uppermost in my mind if God was to be glorified through all this. As I quickly discovered, not only was hate e-mail being sent to my state legislative e-mail account, but also the activist networks somehow had obtained my home e-mail address too. It immediately became almost impossible to sift through all the garbage and find the legitimate e-mail from friends and family. Those who had been offended by my remarks also began calling our home phone at all hours of the day and night, leaving the filthiest messages I’d ever heard. I was surely thankful we didn’t have little children at home to hear that vile language. The next day, as the gravity of this situation began to dawn on us, Steve and I sat down together and counted the cost. It was a process we understood well. Many years ago after we were first married, we were in a ministry where we gave up all we possessed (which wasn’t much at the time) and worked with street kids. This was a step into what some call “full-faith” ministry because we were totally dependent upon God to meet our needs. The young people we were ministering among were the Jesus people of the 1970s. But following that path meant giving up pretty much everything. Thus we had engaged in a serious count-the cost exercise before that leap of faith. The levels of irrational hate and rage that were being poured upon us certainly made it conceivable that we might be the targets of violence. Indeed we had already seen some thinly veiled threats. Assured of an eternal home in heaven and mindful of those throughout church history who laid down their lives for the faith, we both agreed to stand—whatever the cost. We just sat there in silence for a while. Then Steve prayed, asking God to give us His strength and love to face this in a way that would please Him. I can’t really explain how liberating it was to count the cost that Saturday night. We were both humbled that, for whatever reason, God had allowed this situation to take place in our lives. Although events were happening in rapid-fire succession that first week, the days went by with painful slowness. I did so many TV interviews that I quickly lost count as the days became a blur of TV lights and microphones. I just know I finally quit giving them because they never let me explain my side of the story or seemed to give me a fair shake. Sad to say, they didn’t really want the truth. They either just wanted a story—something that would get them viewers—or they were philosophically sympathetic to the homosexual rights cause. I do vividly recall the reporter who blindsided me with her last question. It went something like this, “I hear you have a son who’s gay. Is that true?” I was stunned and, frankly, angered by the question. I flatly told her that what she had heard was not true. I quickly added that if it were true, I would love him all the more because he would need more loving. If I remember correctly, I also told her that she was doing a poor job of journalism because it sounded more like she was working for the National Inquirer rather than a legitimate news station. Just as a mother bear will roar to protect her cubs, my motherly instinct had been called up. Pick on me all you want, but leave my family out of this. Apparently, the moment I got in the crosshairs of the homosexual rights activists, enterprising researchers started digging through my life for dirt. It must have been a frustrating and disappointing search. As I’ve already mentioned, I’ve been a pastor’s wife in an inner-city church and a public schoolteacher. My husband and I have spent a major part of our lives in inner-city ministry—clothing and feeding the poor, helping the homeless, ministering to the drug addicts, and reaching out with help and hope to AIDS sufferers. Of course, neither part of that smear is true. How shamefully vicious to drag my children into a campaign to defame and/or silence me. How ironic that many of the individuals repeating these slurs frequently offer high-minded rhetoric about respecting the privacy rights of individuals. Nevertheless, this has become a familiar mode of operation by those on the far-left fringes of the culture wars. Digging for dirt and making stuff up if it can’t be found is only one familiar tactic of this movement. High-profile mockery is another. One morning during that first week Ellen DeGeneres called my office from the set of her television program. However, as I was getting calls from all over the nation telling me what a horrible person I was, my voice-mail box was full, and she was not able to get through. You may have seen the episode of her show as she made the call. She’s shown it more than once. To begin the segment, she played the YouTube recording while showing my picture. Injecting her signature humor at various points, she had her entire audience laughing at me. Making anyone who disagrees with the homosexual lifestyle look like a fool is a major tactic of homosexual activists. Ellen was employing that tactic superbly. Next I got a call from the Dr. Phil Show. I seriously considered returning his call because he seems to give people a fair shake on his program. Instead, I had one of the media staff make the call to see just what he had in mind. We were told that there would probably be a panel of people from both sides of the issue to discuss the topic. I’ve seen a few of those types of shows, and they seem to end up in shouting matches—shedding much more heat than light on the subject under discussion. I have no problem with an honest discourse on the topic, but I was afraid that this situation might be more for show than a rational dialogue. So I declined the opportunity to appear on the Dr. Phil Show. Besides, as I’ve said, this is not about me. Having my picture flashed all over international TV on CNN, the Ellen DeGeneres Show, and hundreds of homosexual blogs is more than enough bad publicity to last a lifetime. What I’m interested in is being obedient to God and His Word. I had no idea what being obedient would cost me. Scripture says that Jesus humbled Himself by becoming obedient to the point of death. To be honest, I sincerely hoped that my obedience wouldn’t cost me that. Yet that’s what happens to soldiers in war. Jesus laid down His life for me, and I had to be willing to lay down mine if He allowed that. Steve and I had faced this question on that Saturday night and had God’s peace. We would take one day at a time, trusting God to protect us with each step. I didn't really know what I was getting into when I requested to review this book. It is full of very controversial material. And a lot of politics. It's an extremely interesting book. I'm going to leave my personal feelings out of this review. I don't quite agree with everything in the book...but that's for every person to make their own decisions. Isn't that the great thing about freedom? If you are into politics this may be something for you.